« What’s in your tool kit? Now that December is upon us, we like to start a running tally of new and exciting items that make perfect holiday gifts. I’m going to start with an oldie but a goodie today. I know this is something that I list every year, but I want to mention it now, because these always sell out well before the end of the month. 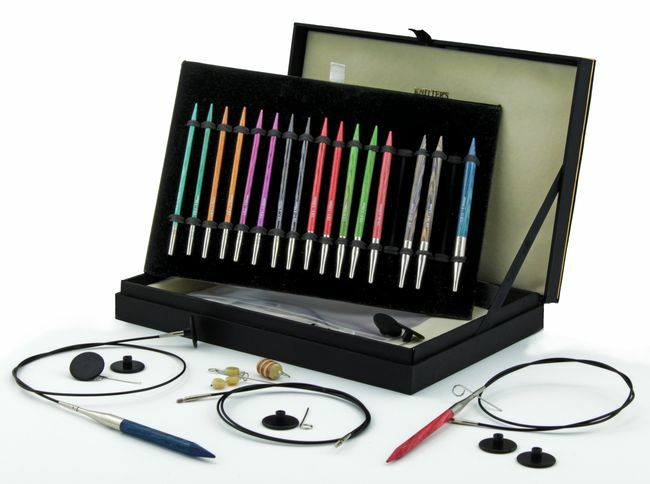 Whether it’s Addi or Knitter’s Pride, there’s a needle kit for every knitter. I’ll refer you back to my ooooooold post from 2012 comparing all our kits for further reading. Maybe print that off and leave it lying around with one or two kits helpfully circled as a nice little hint-hint to your cohabitants. And to use those circular needles? Might I suggest one of my favourite circular designs? 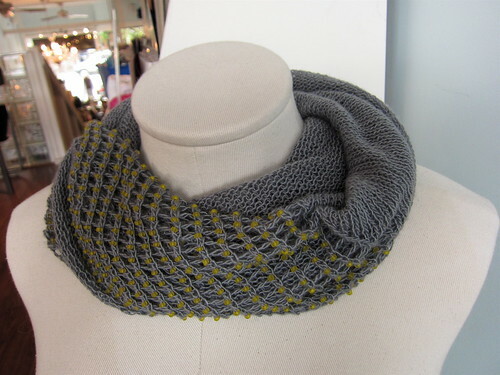 The Jeweled Cowl, by Sachiko Uemura. I have made…. several of these, and they are always a success. Plus it’s a good excuse to start working some glitter into your winter wardrobe. This entry was posted on Monday, December 1st, 2014 at 11:38 am	and is filed under Advent. You can follow any responses to this entry through the RSS 2.0 feed. Both comments and pings are currently closed.